Your ONE Stop For Sports, Politics, Current Events & Pop Culture. Posted by Harry Yeprem Jr.
It’s been 25 years and those lovable scamps (I’ll never forget the night Bo Biafra flipped me off at the LC Pavilion or whatever the hell they are calling it now) and haters of everything maize and blue, The Dead Schembechlers, are at it again. They have released their ode to Wolverines’ coach Jim Harbaugh, “Harbaugh To Hell”. 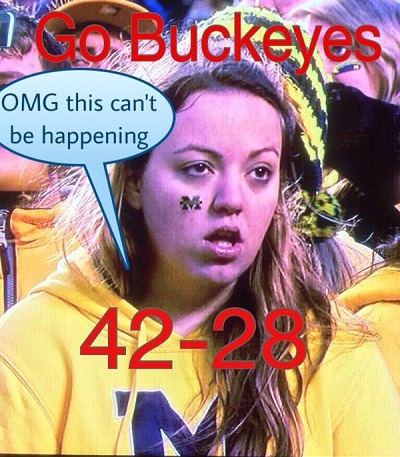 Ohio State defeated Michigan (AGAIN) in the 111th edition of “The Game” 42-28. Let’s celebrate the win with the best memes from Saturday’s game! 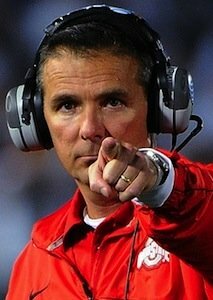 Urban Meyer Demands That You Watch This “Trailer” About “The Game”! Ohio State Head Football Coach Urban Meyer and his staff have been circulating this “trailer” to get you even MORE hyped about “The Game”! They DEMAND that you watch it! Go Bucks! We are THE “Beat Michigan” Station! Keep it tuned to 955 The Game!! It’s “Beat Michigan” Week here in old Columbustown and while it is fun to watch others try to avoid using the letter “M” throughout the week, don’t expect it from me. You got it in the title of this post, enjoy it. Speaking of bashing our enemies to the north, I must admit last year I had an “epiphany” of sorts (shocking, I know). I was one who took glee in watching “The School Up North” fail miserably. I took unbridled glee in watching them fall to Appalachian State in 2007. 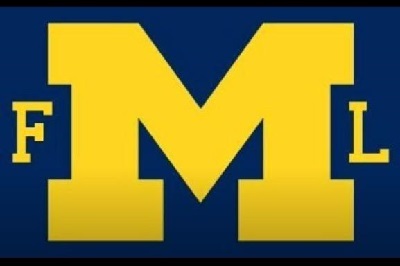 I used to be one of those who preached, “My two favorite teams are Ohio State and whoever plays Michigan. 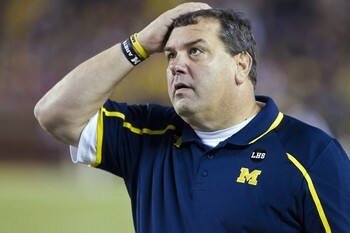 I initially enjoyed watching fat, bumbling Brady Hoke try to impersonate a Division I Football Coach but now have come to the realization that a bad Michigan football team is bad for Ohio State and bad for the Big Ten Conference. So after the Buckeyes put big, bumbling Brady out of his misery Saturday, I actually hope those in charge of hiring the next “Michigan Man” make a good hire. Let’s be honest, a battle of #1 vs #2 that occurred for “The Game” in 2006 is a lot more fun than what we will probably see for the 111th meeting between the two teams. So, let’s get to Saturday. In all honesty, this should not be much of a game. The Buckeyes are superior in every way–talent, coaching and motivation. The theory has already been floated out there that this game will be a way for Michigan players to rally for Brady akin to how Ohio State players rallied for Earle Bruce in 1987. In fact, Sporting News proposed such a scenario HERE. But does this Michigan squad have any reason to rally around Brady? Remember, this is the coach who sent QB Shane Morris back into a game with a concussion. Prized recruits are even bailing on UM, so I find it hard to believe this squad is looking to hoist Brady on their shoulders after an emotional win. Quite frankly, who wants to lift that load anyway? That being said, it is a RIVALRY GAME and we also thought Ohio State would destroy Indiana & we saw what happened there— a struggle for about two and a half quarters until the Buckeyes and Jalin Marshall decided to ball. Of course, the issue of “style points” will rear it’s ugly head again to impress Condi and the College Football Playoff Committee…so get ready for the cries of “We need to beat these guys by 40-50 points!! !” to ring throughout the city this week. 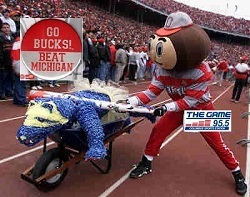 Now, let’s get to the fun of “Beat Michigan Week”; there will be a lot of enjoyable events leading up to “The Game”! First of which is Torg & Elliott’s “Beat *ichgan Breakfast Club” on Wednesday, November 26th at Flannagan’s Dublin! $4.96 gets you a breakfast buffet, an opportunity to play former Buckeyes in beer pong and a chance to win tickets to “The Game”! Plus, the first 96 through the door get a “Torg & Elliott” t-shirt! Get more details HERE! Friday, November 28th it’s the annual “Earle Bruce Beat Michigan Tailgate”. 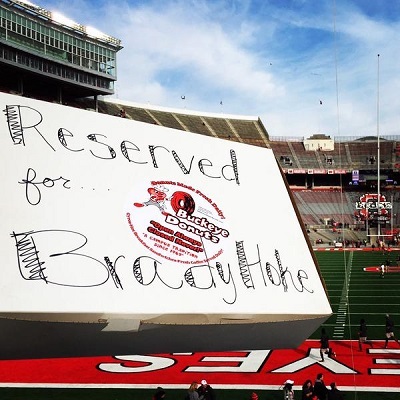 The Tailgate will run from 10:30am – 1:30pm and feature lively Buckeye music, videos of past OSU vs. Michigan games and a silent auction of Buckeye memorabilia. 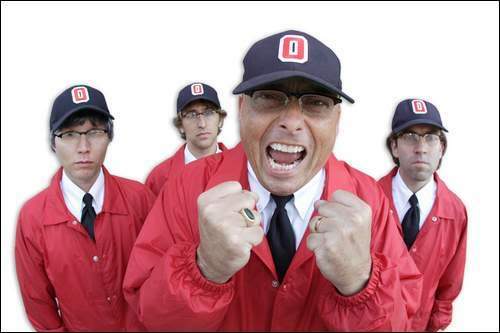 Coach Meyer will make an appearance to get everyone fired up to cheer the Bucks to victory! Get more info about this wonderful event to benefit the fight against Alzheimer’s Disease HERE. 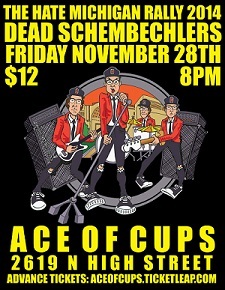 Last but not least, the “Dead Schembechlers” return to the stage for a 2014 edition of their “Hate Michigan Rally” later that Friday Night. Not familiar with the band? You better get familiar before they slap the taste out of your mouth. 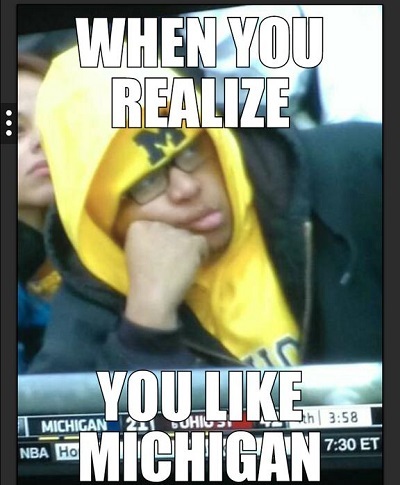 They preach hatred of all things Michigan and try to educate everyone about the “International Wolverine Conspiracy”. 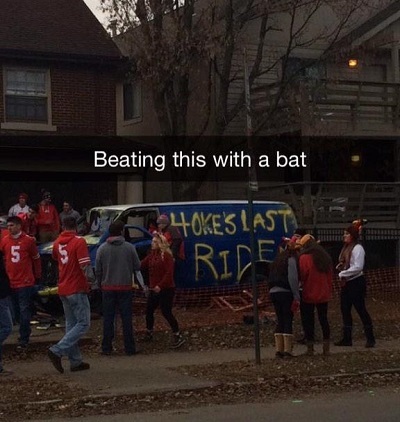 So there you go…all you need to know about “Beat Michigan” Week. Remember to stick with 955 The Game all week long as Torg (12-1p) & The Stiller Project (4-6p) talk about and take your calls & texts on “The Game”! Go Bucks!